After graduating from London’s South Bank University in 2001 with a PhD she founded the British Computer Society Specialist Group BCSWomen and is an advocate of women in computing. Dr. Sue Black runs a blog to help raise awareness of and funding for Bletchley Park, the UK World War II centre for decrypting enemy messages. She used other Web 2.0 technologies such as Facebook and Twitter for this purpose. She has also appeared on BBC television, radio and in press articles. In 2012, she was listed as one of Datamation’s 10 Women in Tech Who Give Back. In 2015, Black was identified as the 6th Most Influential Women in UK IT 2015, by Computer Weekly. “If I can do it, so can you” is the inspiring and motivating story of one woman’s determination to succeed. 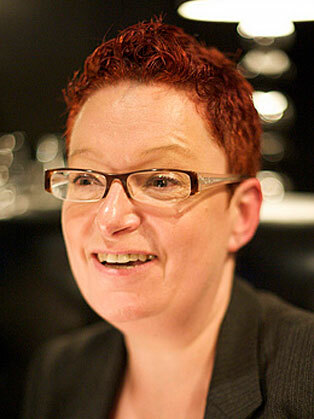 25 years ago Dr Sue Black was a single parent with three small children living on a council estate in Brixton. She is now one of the top 50 women in tech in Europe, received an OBE and just been appointed to the Government Advisory body shaping digital services. Sue talks about how she brought her family out of poverty and built a successful career through education, passion and a determination to succeed.